Indie Pop duo Ex Cops compile us a playlist of their favourite tracks at the moment, all revolving around food. Hopefully it won’t leave a bad taste in your mouth. Musical allies Amalie Bruun and Brian Harding bring together sounds from North Carolina and Denmark to form a dreamy-pop band. Having been together since 2011 and with an album already under their belt, we’ve been eagerly awaiting Daggers, release two, since 2013’s True Hallucinations. The pair’s latest single, “Black Soap”, the first track on album two, leads to comparisons to The Kills, albeit a slightly more polished version with a shining injection of pop and is currently on repeat on the Wonderland office. We’re treated to a ten course playlist curated by Ex Cops all about food. McDonald’s, shepherd’s pie, birthday cake, you name it, they’ve got it melodically covered. Is it lunchtime yet? This is the last song of this very good album. I eat Shepherd’s Pie like once every five years and this song always makes me want one. Ok so all their songs are about food but this is my favourite. Mayonasie is such a visceral and disgusting image. I like that this is such a beautiful song. This song always makes me kind of ill, but also makes me laugh. You don’t even need to hear this song and you know it is very good. A truly unbelieveably heartbreaking song. It’s not about food at all. I know it’s not about that jelly. But the tangerine imagery is cool. This song seems to remain on the West Coast and I like that. I’m gonna get some pho. Ex Cops new album ‘Daggers’ is out in the UK on the 18th of May. 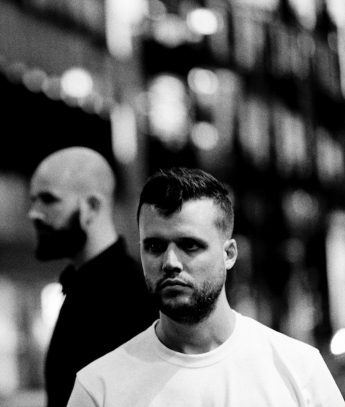 Ahead of their debut album's 10th anniversary, White Lies have curated us a playlist of their favourite tracks.